This is great! Although I notice that you cannot use the π character in the search terms, you would have to use the letters "pi." Otherwise great and really helpful! I am sure it uses the standard math syntax, like sqrt(), et cetera. 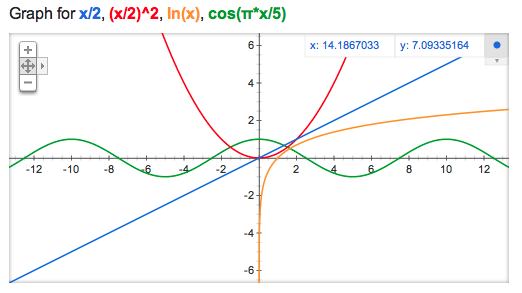 It will be a while before this is competitive with the graphing functions of Wolfram Alpha. 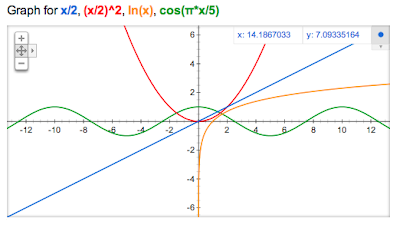 Eventually it would be nice to have something as powerful as MAPLE or Mathematica or even just Grapher, though.